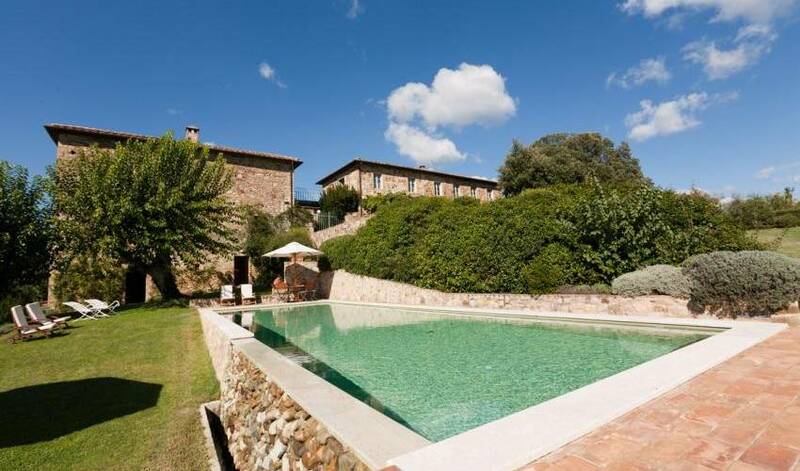 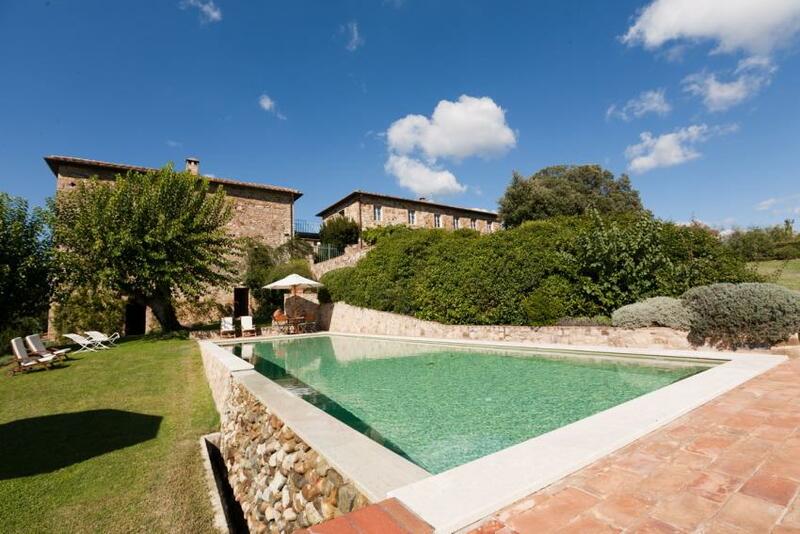 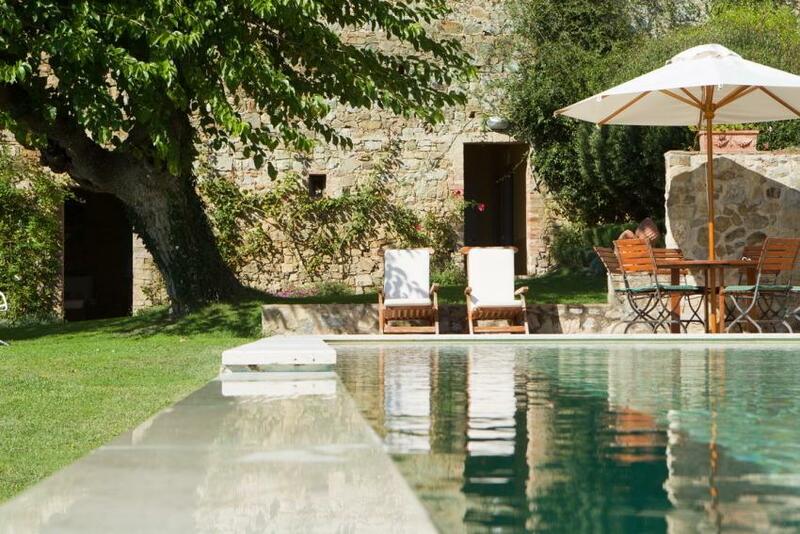 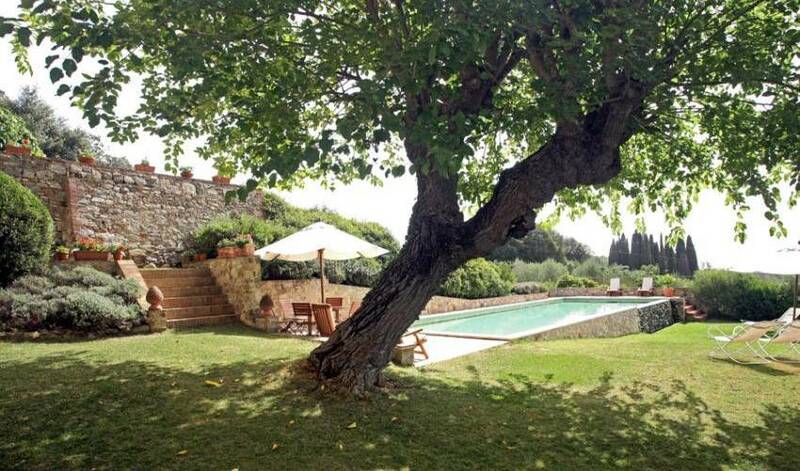 Villa 976 is a strikingly beautiful restored country house in the heart of Tuscany. This unique home is majestically positioned on a hill overlooking a stunning panorama of the Tuscan hills and the medieval walled city of Siena, located 5 miles away. 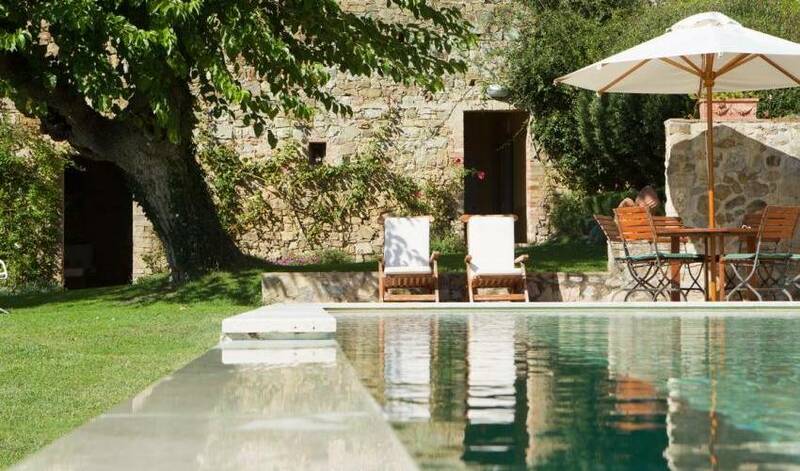 The villa provides maximum comfort in the peaceful and refined atmosphere of a traditional Tuscan home. 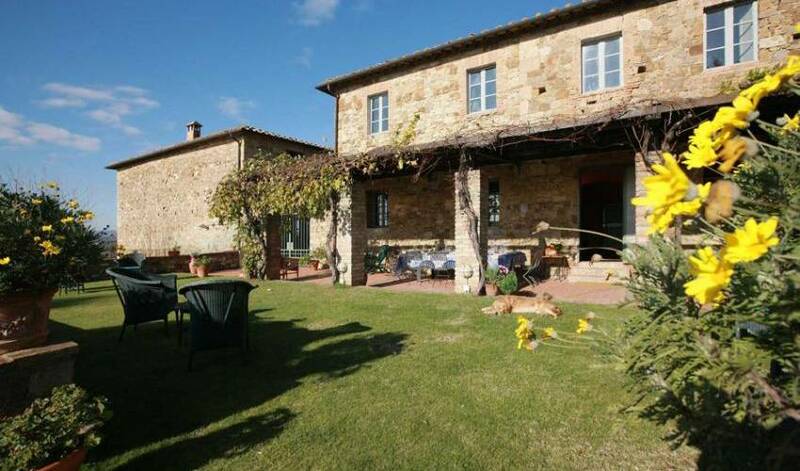 Ground Floor: Spacious reception hall that opens to a courtyard, a very large and elegant sitting room with fireplace, fully-equipped kitchen, a breakfast room with fireplace, a dining room with seating for 15 guests and direct access to the garden. 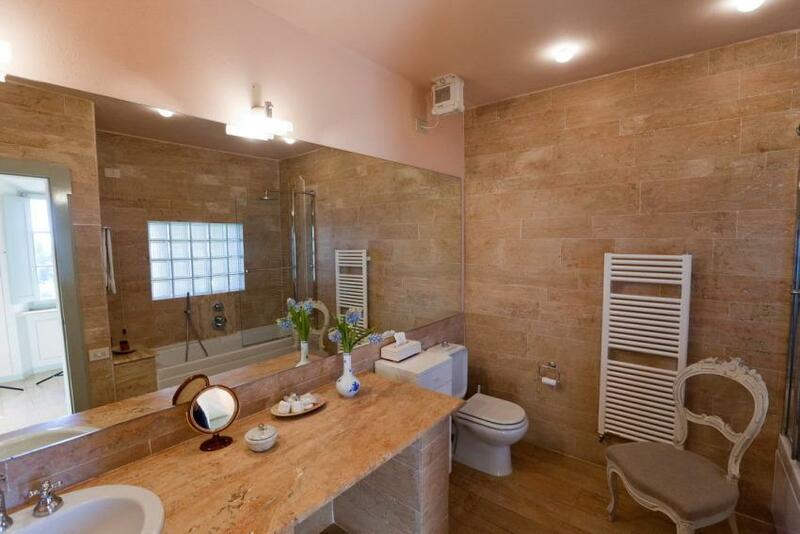 First Floor: Sitting room area with TV. 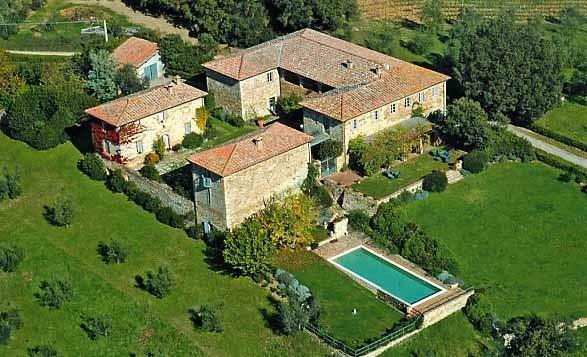 Study with fax, WiFi access and library. 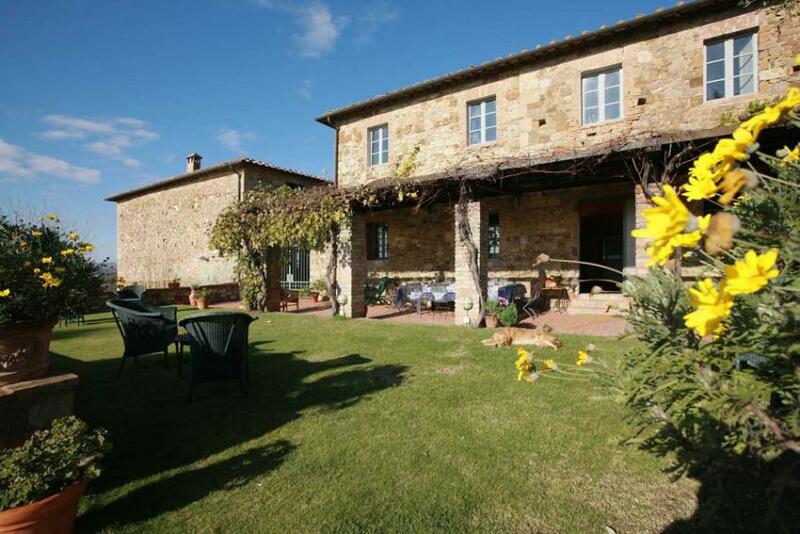 A pergola for dining al fresco, a large terrace and a courtyard overlooking Siena. 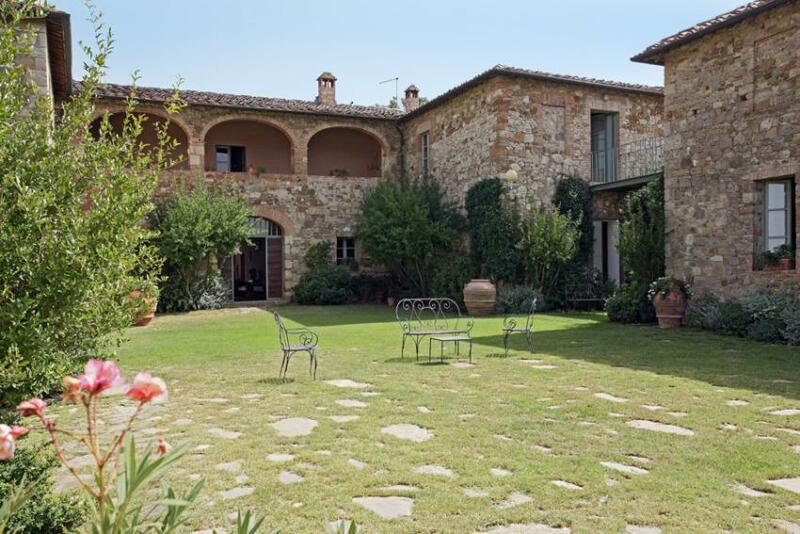 There is also a second floor loggia for lounging and an iron bridge leading from the study to the master bedroom. 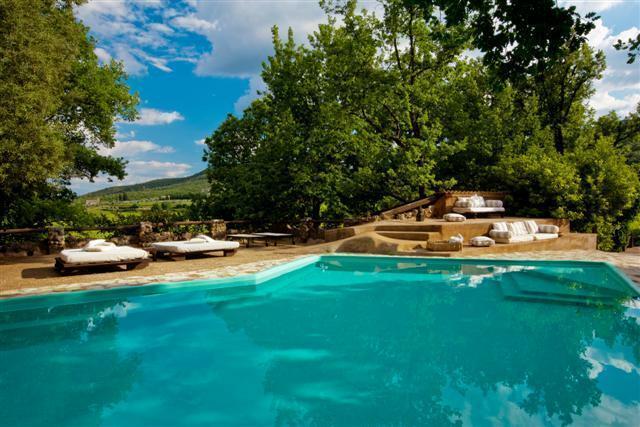 The property has an amazing outdoor swimming pool with waterfall and a tree shaded area and beautiful wood furniture. 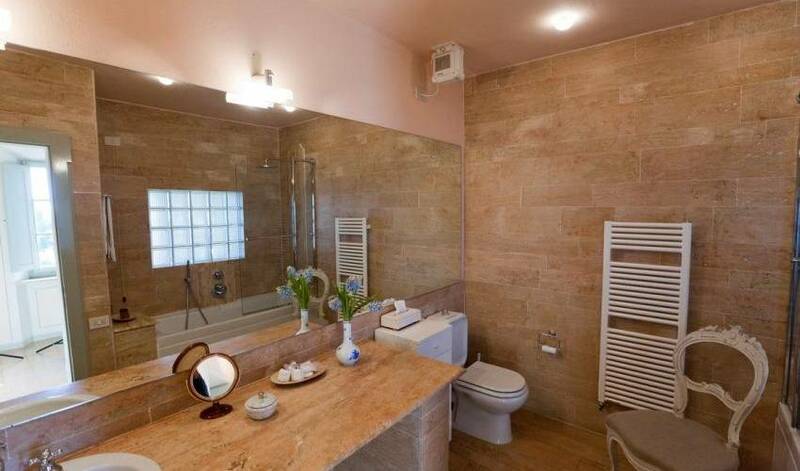 Furnished pool house with open kitchen and bathroom with 2 showers. 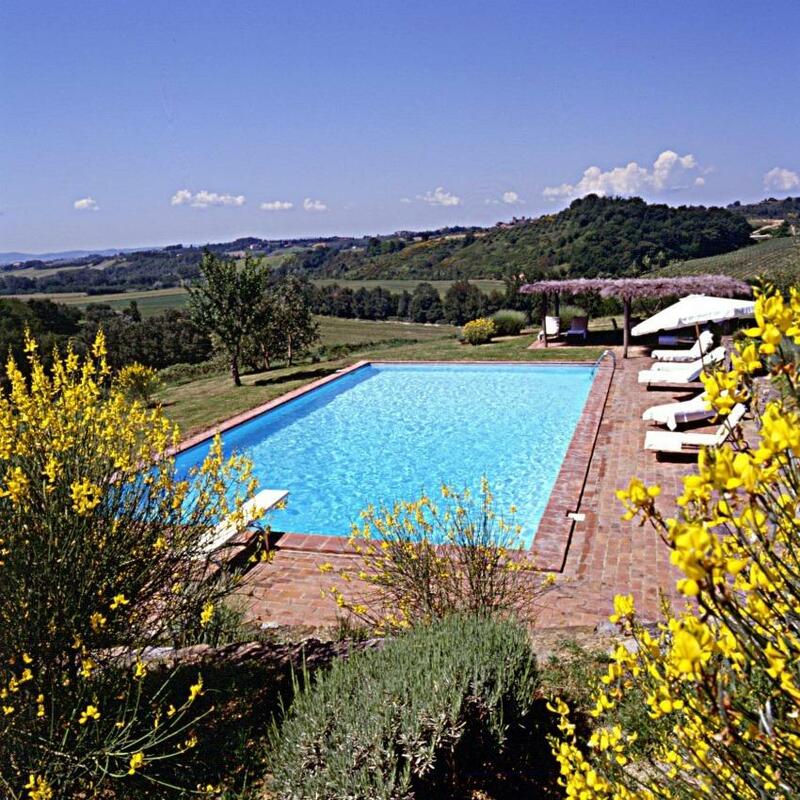 Antiques, original contemporary art pieces, Italian marble bathrooms, satellite TV, WiFi access, washing machine, dryer, hair dryers in bathroom, window screens, treadmill, exercise bicycle, swimming pool. 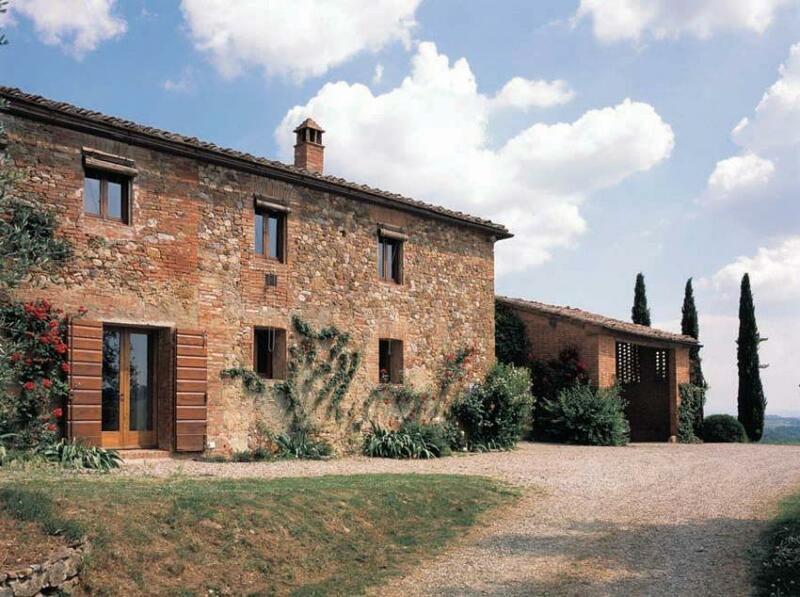 The villa has been featured in many famous Italian interior design magazines for its décor, including Casa Vogue, Case di Campagna, and La Cascina Toscana. 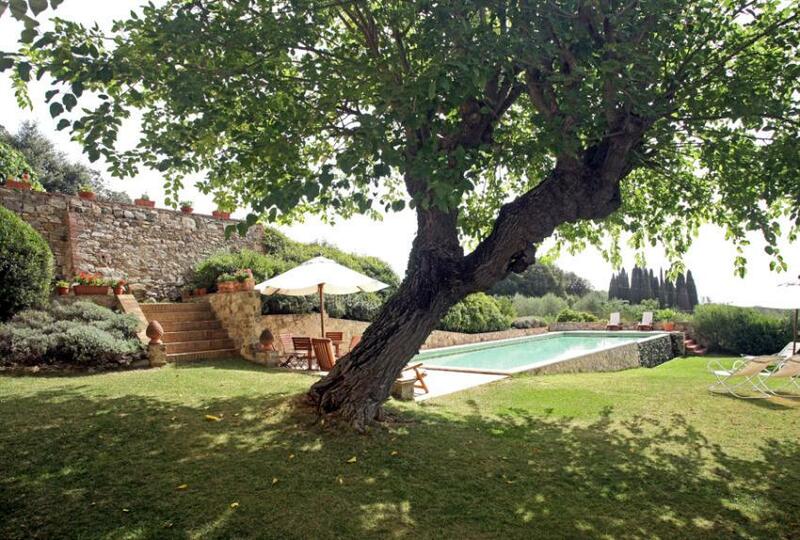 Among the great services Villa 976 has to offer, guests can enjoy typical Tuscan cuisine prepared by a local cook. 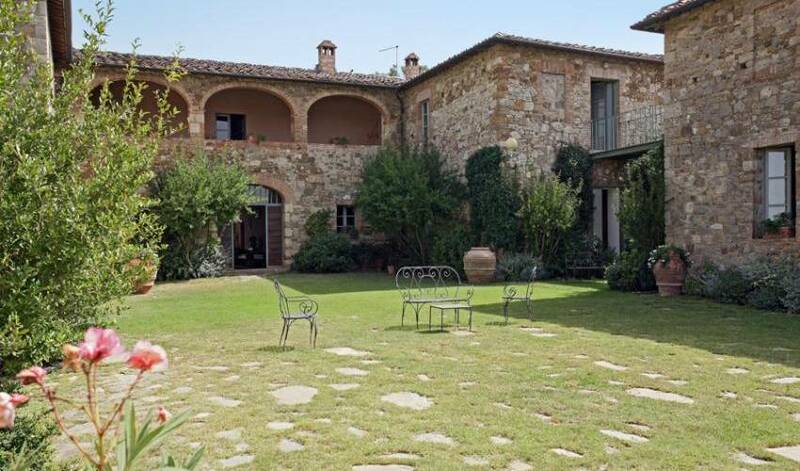 Due to its location the villa is blessed with a breeze from the north; the house is cool because of its stone construction.